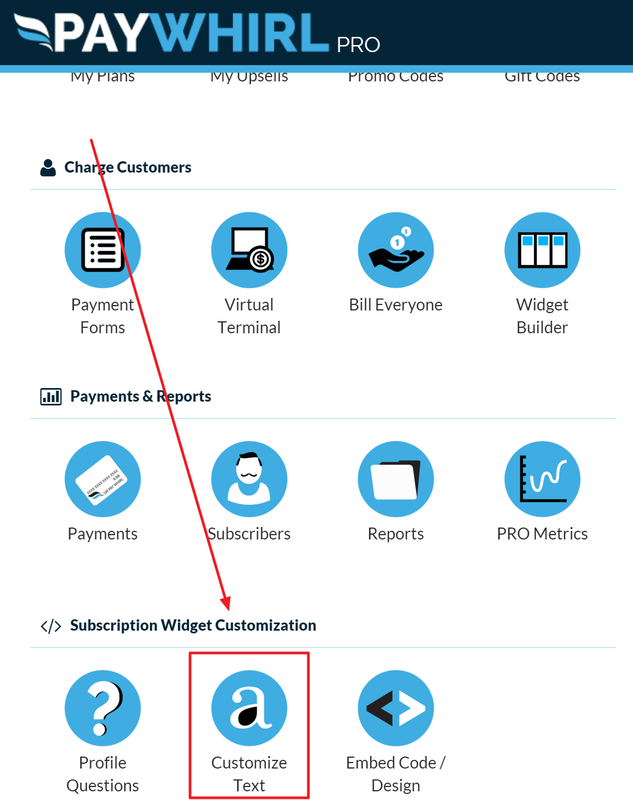 The Customize Text feature allows you to override the text on your PayWhirl widgets and payments forms. You can translate your payment forms and/or widgets into other languages using this feature. You can locate the Customize Text icon on the PayWhirl Dashboard. First go to your dashboard and click "Customize text"
This can be used to completely translate your widget or just spice it up. Don't forget to click SAVE after you've made changes. Anything you put in the boxes below the phrases will override the original phrase wherever it's displayed in PayWhirl widgets and/or payment forms.